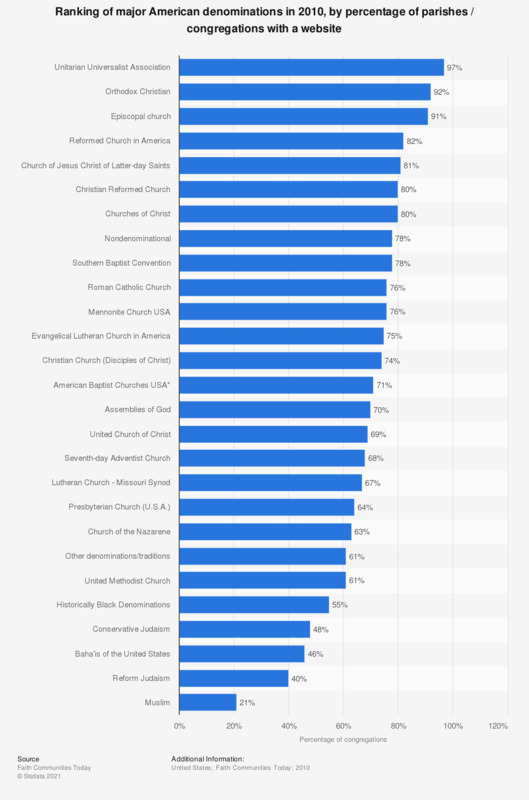 This statistic shows a ranking of major American denominations in 2010, by percentage of parishes or congregations with own website. In 2010, about 70 percent of congregations of the Assemblies of God had a website. Should churches and other houses of worship express their views on social and political questions or keep out of political matters?